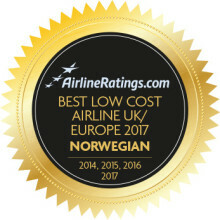 Norwegian today announced it will launch flights from four cities in the United States – Fort Lauderdale, Los Angeles, New York City/Newark and Oakland/San Francisco - to Barcelona, Spain, in June 2017. Norwegian will also add service from Oakland/San Francisco to Copenhagen, Denmark, offering five nonstop routes to Europe from the Bay Area by next spring. 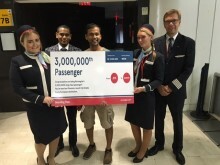 Norwegian carried more than 2.9 million passengers in July, an increase of nine percent compared to the same month previous year. The load factor was 94.6 percent, up 0.8 percentage points. 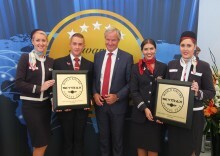 Norwegian today launches its first flight from the United States to Paris’ Charles de Gaulle Airport. The airline’s first-ever nonstop flight to Paris from the U.S. departs from New York City’s John F. Kennedy International Airport this evening, followed by service from Los Angeles International Airport starting July 30 and from Fort Lauderdale-Hollywood International Airport on August 4. 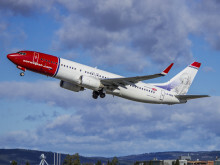 The United States Department of Transportation has today announced it will continue to review the foreign air carrier permit application for Norwegian Air Shuttle’s British-based subsidiary, Norwegian UK (NUK), to operate flights between the United States and Europe. Norwegian UK’s application thereby remains pending, but Norwegian is confident that it will receive its permanent authority. Norwegian will bring its popular French Caribbean flights to Fort Lauderdale later this year. Starting December 17, flights will operate between South Florida and Guadeloupe twice weekly on Wednesdays and Saturdays. Due to high demand, Norwegian will also add a fourth weekly service from New York’s John F. Kennedy International Airport to Guadeloupe as of December 17.